A world of water, ice, wind, animals, the last outpost of civilization before the Arctic ice. It is the world of silence, of space, of white. Long hours spent observing the fulmars, skuas, gulls wheeling in the wind chill of a world without night. 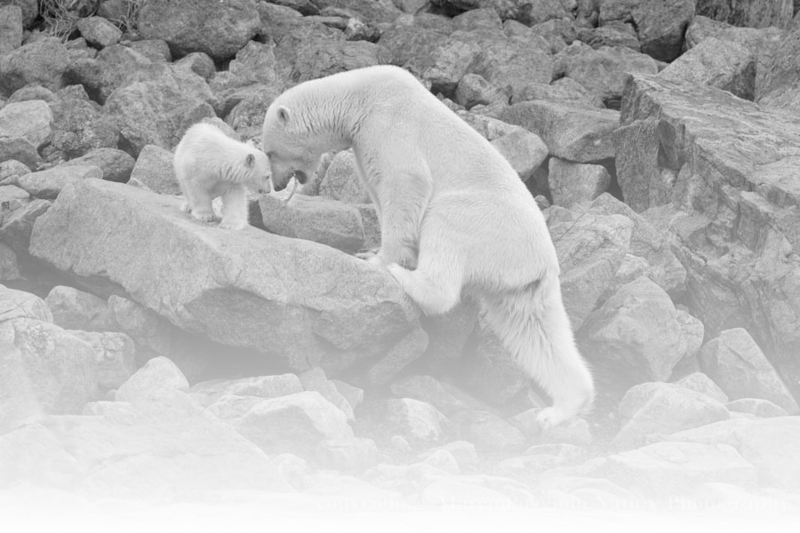 Until finally we encounter the largest land carnivore, the polar bear.